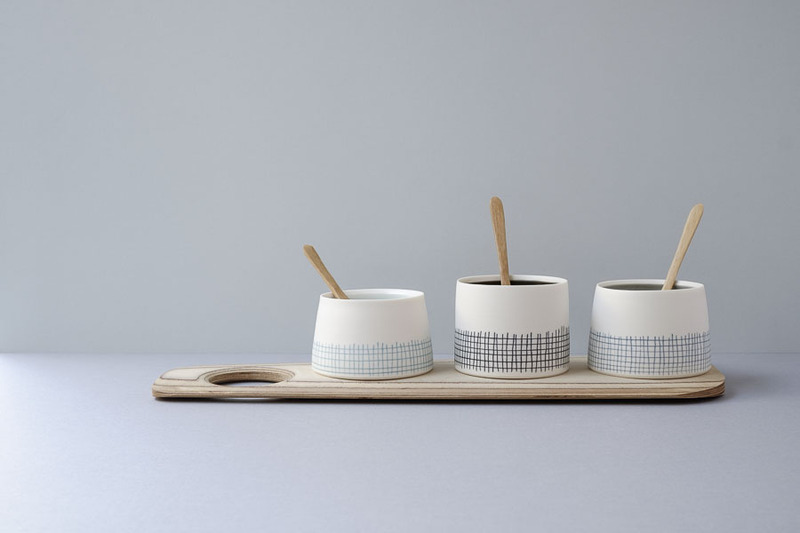 Kathryn’s ceramics are functional, handmade, wheel thrown fine porcelain and she works in small batches. 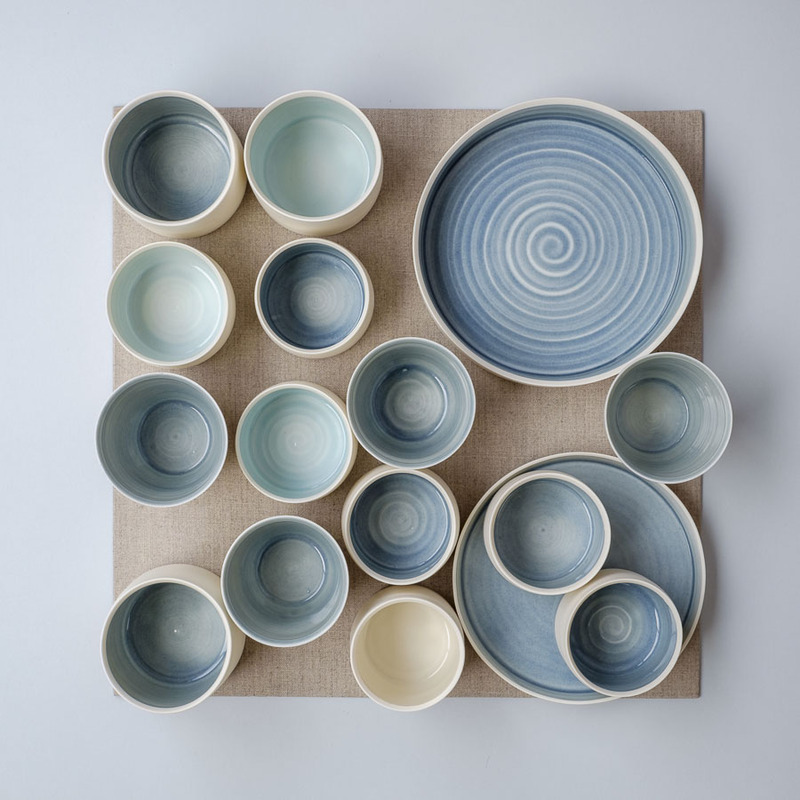 Kathryn aims to produce simple designs with clean lines and muted colour palettes that are practical and will work in most homes and on any dining table. 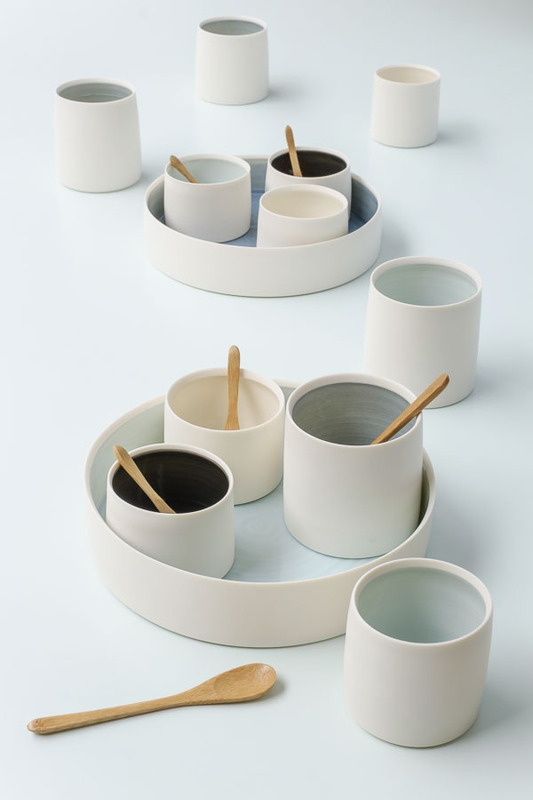 There is an element of her love of mid-century modern design in her finished pieces. 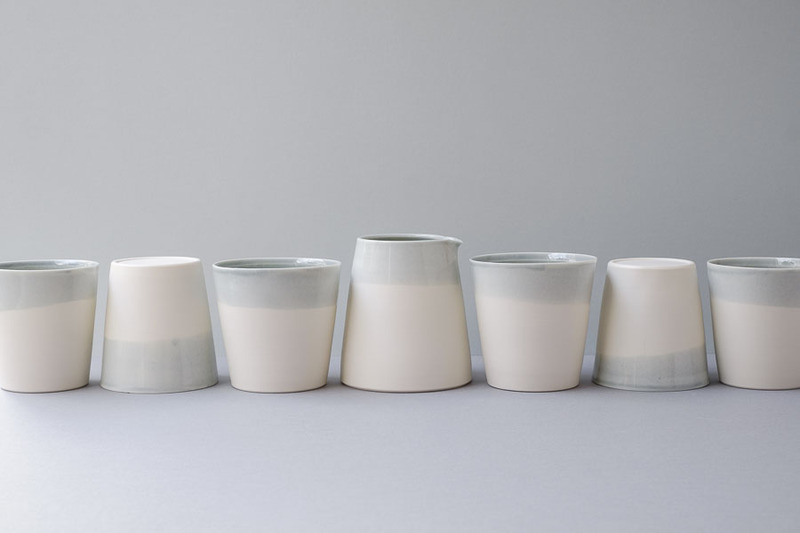 She often leaves the exteriors unglazed to create a tactile contrast between the raw clay and the glazed surfaces. Decoration is applied using coloured slips, inlaid lines and hand carved repeating patterns. 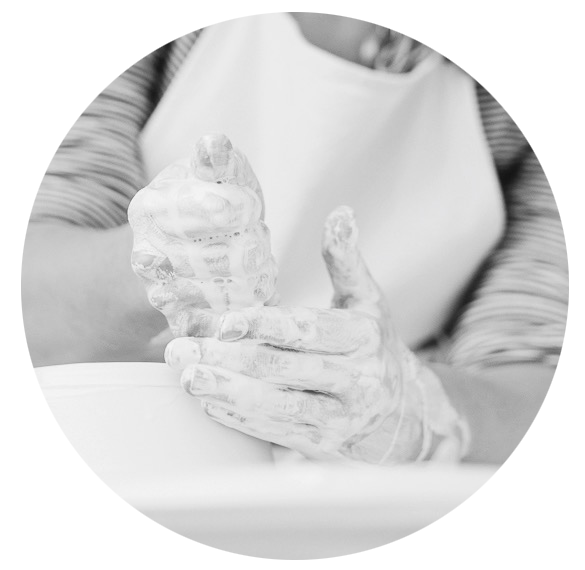 Kathryn loves the connection that handmade pottery creates between the maker and the owner. 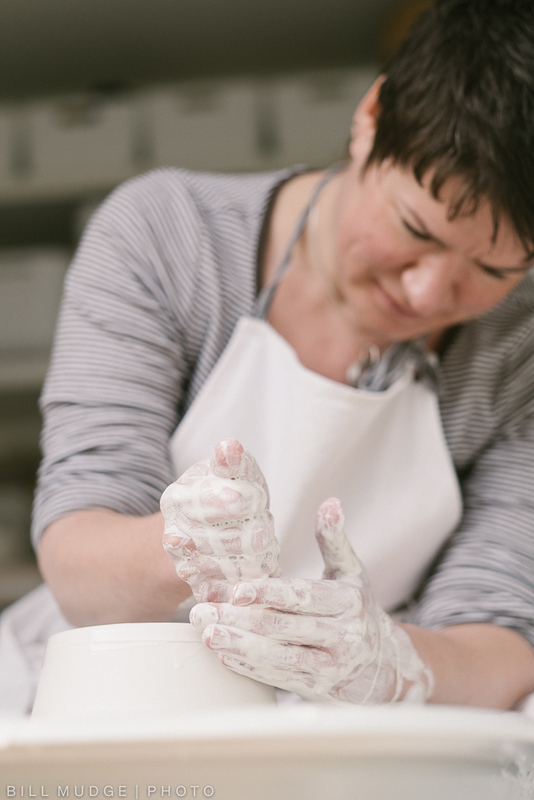 She finds that there is a moment on the wheel when she can feel that the pot is ready and that the kiln firing will capture that making moment permanently. 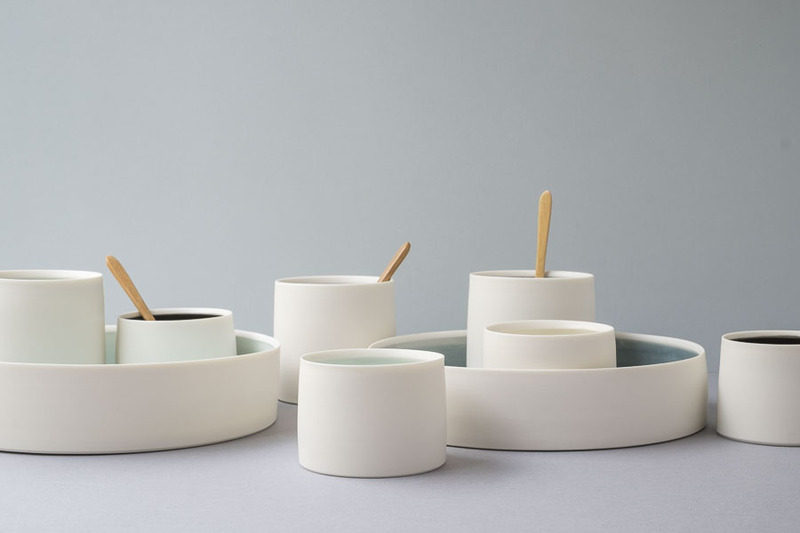 Each of Kathryn’s pieces is designed for everyday use in the home as they are food safe, dishwasher safe (although we would never put any handmade pottery in a dishwasher! ), oven proof and stain resistant.